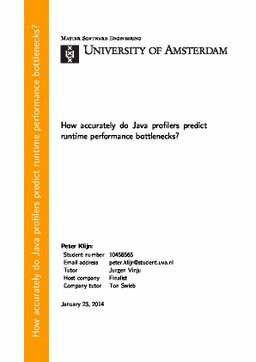 Centrum Wiskunde & Informatica: How accurately do Java profilers predict runtime performance bottlenecks? How accurately do Java profilers predict runtime performance bottlenecks? Klijn, P. (2014, January). How accurately do Java profilers predict runtime performance bottlenecks? . Universiteit van Amsterdam.